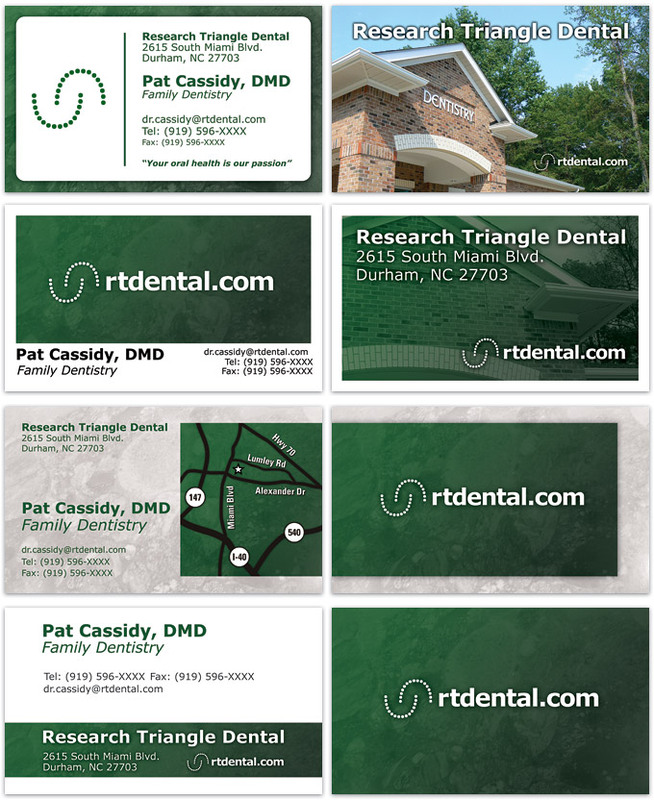 Here are some proposed business card designs for Research Triangle Dental. The top two are the versions that they liked best, and those should go into production soon. 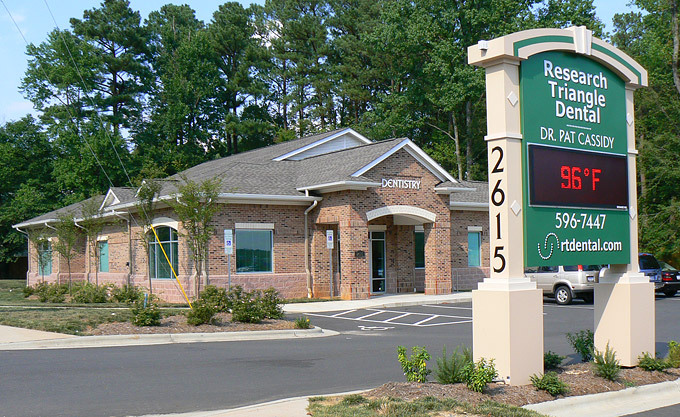 I helped design this very large outdoor sign for Research Triangle Dental in Research Triangle Park, NC. Signage Industries was responsible for construction and initial layout.